Through-out the project Ashling made it clear that our success was their central mission, and that they cared about the well-being of our company. 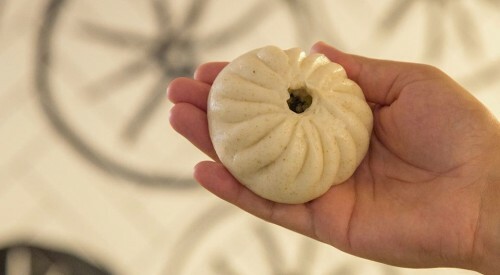 Tom's Bao Bao has highly specific needs ranging from temperature control to the materials and design elements we use. Ashling was able to find a way to meet all of these goals while operating efficiently and maintaining our budget. 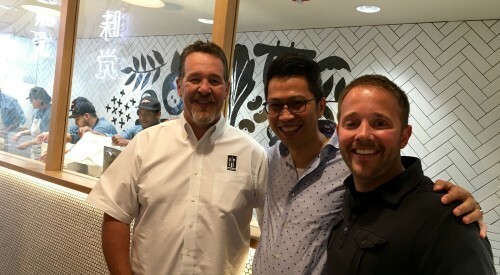 Tom Tong selected Ashling to build their first US location. 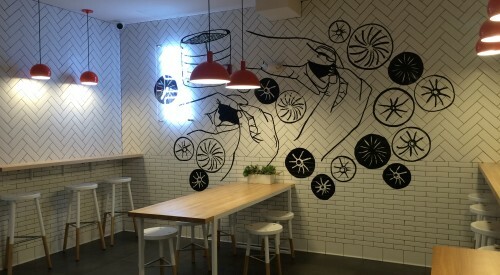 The open kitchen restaurant features herring bone wall tile throughout; reminiscent of the pattern of the baozi steaming baskets.